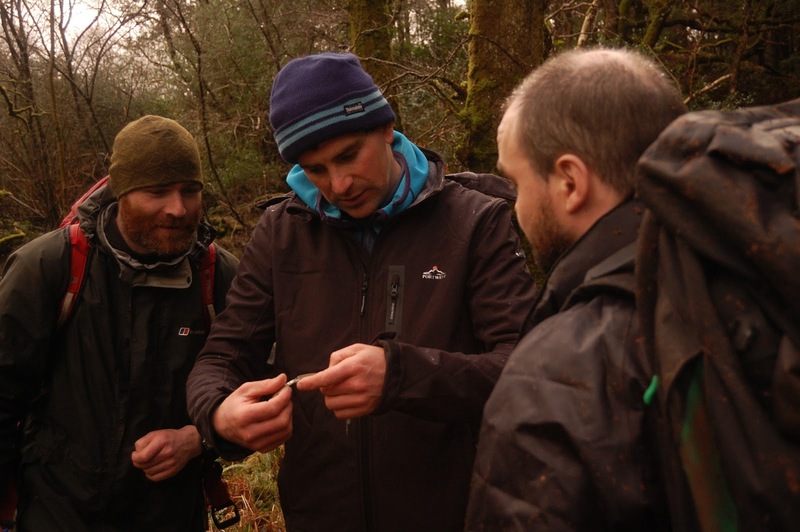 In February, outdoor writer Lenny Antonelli travelled down to Glengarriff to spend a weekend undertaking the Forest Skills 1 Course in the woods with Outdoors Ireland. Lenny and instructor Nathan Kingerlee both wore Portwest outdoor gear to keep them warm and dry on the course during the cold, wet February weather. 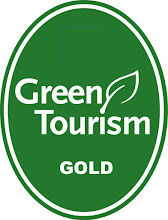 Outdoors Ireland is a brand ambassador for Portwest. There’s nowhere else in Ireland quite like the wood-cloaked valley of Glengarriff— it’s one of the few places on this island with woods big enough to really get lost in. So being a lover of Ireland’s woodlands, I was excited to travel here from Galway one February weekend for a course in forest navigation with Outdoors Ireland. 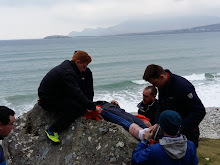 We met our instructor Nathan Kingerlee on a damp and grey Saturday morning, with the spitting rain blowing in from Glengarriff Harbour. After a quick briefing we drove to our start point — a remote road high on the edge of the valley that looked out over the woods. 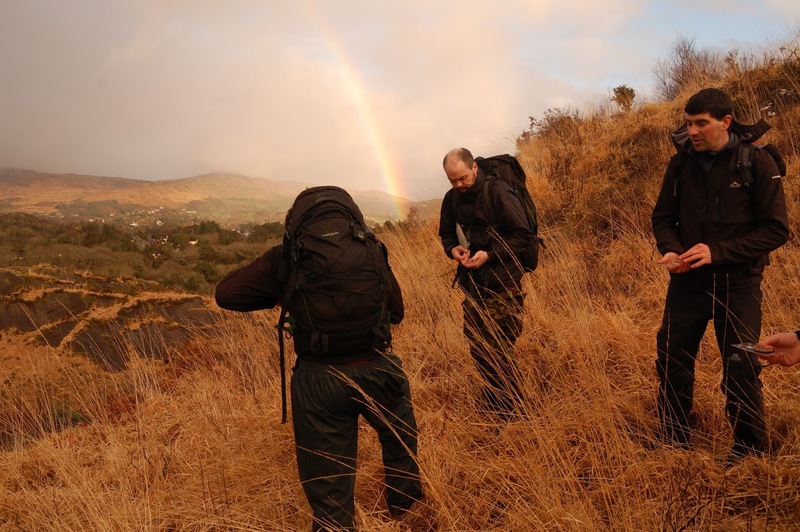 Our small group of six had all done some mountain navigation training before — now it was time to apply the same skills to the forest. 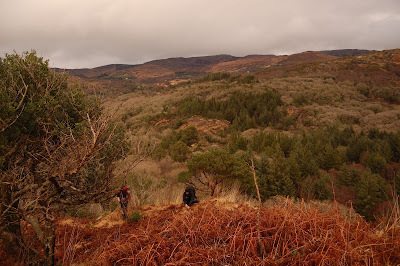 We started with quick refresher in how to take a bearing using a map and compass, and Nathan challenged us to use these skills to find our way to through forest and scrub down to the Glengarriff river, which was somewhere in the valley below, invisible from the road. Compasses in hand, we crossed swampy bog and crawled through the trees, eventually finding our way to the riverbank, which was thick with rhododendron. 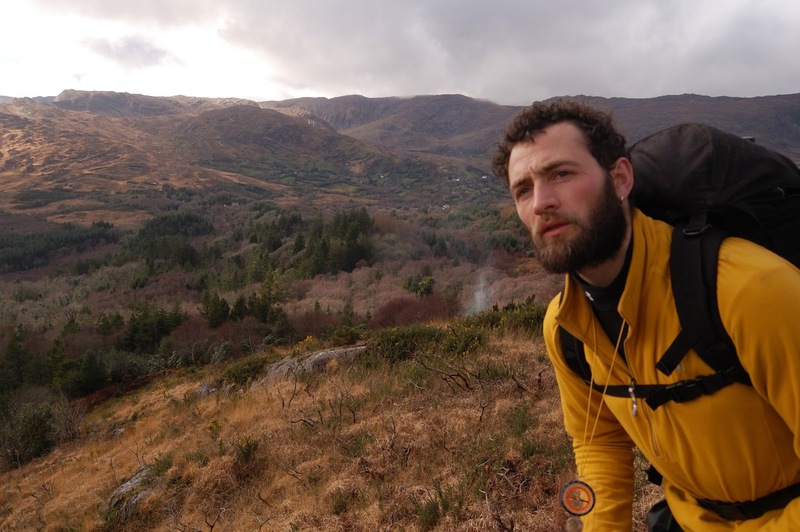 Then, deep in the jungle-like terrain, Nathan showed us some other forest navigation skills: like how spiders will usually build their webs to shelter from the prevailing wind, and how to navigate using the sun and wind when deep in the forest. Later, we hiked to a remote grove of big old oak trees on the banks of the rushing river, and here Nathan demonstrated how to gauge direction by looking at clues from the forest: like which side of the tree the moss is growing on (a technique that’s often cited, but isn’t always reliable), which way the trees are leaning (the prevailing wind may have blown them in one direction), and where on the tree most of the branch growth is (normally on the south side, in the northern hemisphere, which gets most of the sunlight). He taught us how you can draw a simple, effective compass on your hand if you just know roughly what time it is, and can see the sun. Later, he brought us into a dense conifer forest, and challenged us to use the techniques we’d learned to head in a north westerly direction. If we navigated correctly, we should should find him at a certain point after about 30 minutes of walking. He asked us, however, not to use the compass technique — to see if we could find him using just the wind and the features of the forest. We each set off alone, and after fighting through dense forest and tough terrain, I eventually found him on a high bluff overlooking the valley. My bearing had been ok, but far from perfect — and admittedly, I’d also cheated and checked my hand compass at one point when I thought I was lost. We met up again the following morning in even heavier rain. After a brief workshop session in the Eccles Hotel, we headed out to the woods again to hone the skills we’d learned the day before. 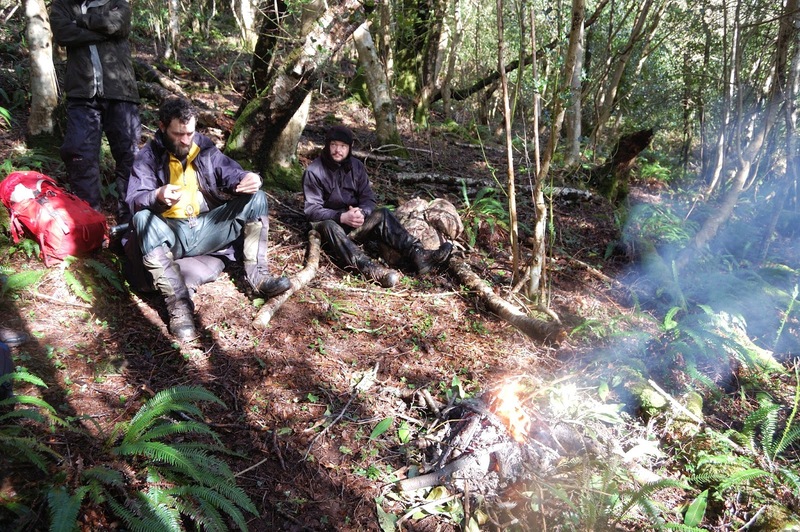 Throughout the day, Nathan brought us to various points around the remoter corners of this thickly wooded valley, each time challenging us to follow an accurate bearing using only the features of the weather and the forest, and each time giving us a few more skills and tips. In the afternoon the rain eased, and exhausted but full of adrenalin, the sun came out and we watched a white-tailed eagle soar over the valley. 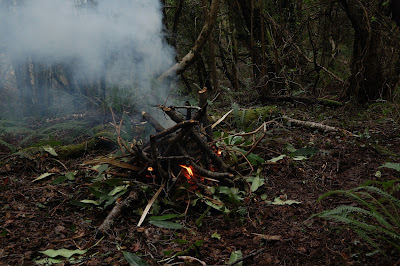 Towards the end of the day, Nathan disappeared into a birch wood near the head of the valley and set a campfire — our job was to navigate to the fire using only the smell of smoke. Once we found him, deep in the birch wood, he blindfolded us and had us see if we could get back to the fire using only its scent. Then he showed us how to make a simple compass by magnetising a piece of iron (such as a piece of barbed wire) and either hanging it form a string or floating it in water. We rested in the woods as the day came to a close. Then we walked out of the valley through thick green woods. Being a lover of Ireland’s woodlands, the weekend had been something of a revelation to me. I had gone into it thinking I knew a lot of about the forest, but came out realising I was only beginning to scratch the surface. But I was starting to feel that, even without a map and compass, I could now go out into the forest and get intentionally lost and — even without a map and compass — find my way out again.